Here are top selected products for "Kid's Clothing"
As parents, it is natural to always want your kids to look their best. Needless to say, kids are adorable and they look cute, regardless of what they wear. However, at the same time, it is also important that you buy the right kind of clothing for your kids. Read on to know more. Buying kids dress is fun for parents, mostly for mothers. There is so much to choose from—adorable prints, lovely colors, stylish designs, and a lot more. However, shopping for kid’s clothes is easier said than done. If you have a toddler, you can make her wear anything and everything as long as she is comfortable in it. As far as tweens are concerned, you need to prepare yourself for their regular tantrums. Today’s tweens know what style is and have a lot of say when it comes fashion. Here are some tips to help parents buy children dresses from various brands like United Colours of Benetton, Cutecumber, Puma and the like . Size is the most important factor when you are buying a baby dress. Toddlers grow very fast and so if you are buying the 0-3 months size, you would have to replace that soon. Buy only what is absolutely necessary. You could also consider buying a bigger size so that your baby can wear it for a longer time. Before you start shopping, it is important that you have your kid’s exact measurement in place. You then can compare it with the size chart while making a purchase. Whether you’re buying online or buying from a brick-and-mortar store, this is really important. Kids’ do not really like trying out clothes in the store as you can avoid a scene by knowing your child’s exact measurement. Also, remember that the sizes of one brand might differ from the other. It is common for parents to go on a shopping spree when it comes to buying kids clothes. However, in most cases, you will find out that you either are buying things that your kid already has or you are buying stuff that your kid does not need. So, before you start shopping for kids dress and accessories, make sure you have gone through your kid’s wardrobe thoroughly. Check the closets and all the drawer as well. Keep the outgrown and shabby clothes out and then take a note of what is missing or what you need to buy more. 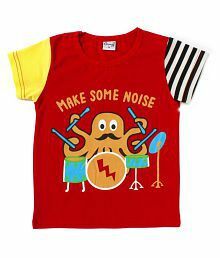 For example, if you make your kid wear t-shirts every day, then make sure that there are at least 8-10 good t-shirts in the wardrobe. You probably won’t be doing the laundry every day. So, having enough to last a week is important. Once you are shopping, the most important factor that you need to consider is the comfort. If you are buying baby clothes like winter wear, you need to make sure that the new clothes do not hamper your baby’s activities in any way. The fabric should be soft on your baby’s skin and she should be able to swing her legs and arms freely in her dress. The dress should also be easy to open as well. This might sound weird but there are clothes that are not safe for babies. Avoid clothes that come with zipper closure as it might harm your little one’s delicate skin. Avoid clothes with loose buttons as your baby might swallow them. In short, for babies, look for clothes with minimum embellishment unless you are making her wear it for a very short time and you can always keep an eye on her. Cotton is the ideal choice for summers in India. When buying clothes for boy dresses or girl dresses, look for cotton dresses with long sleeves so that your child’s skin stays protected from the sun rays. Make your child wear a hat when going out. For the winters, make sure your child’s wardrobe has jackets and woolen to keep her warm. Layered clothes are a good option for the winters. Socks, scarfs, and gloves are also important, more so, if you live in colder cities. If you like something in a store and plan to buy it for your baby, but it does not suit the weather, buy a bigger size so that your child can wear it later. Gone are the days when you had to find time from your busy schedules to go shopping. For all busy mommies and daddies out there, buying children dresses online is the way to go. The range of choice is extensive and you will get anything and everything in a single store, provided you are buying from the right store. If you think that kids dresses are cheap, you are mistaken. If you are buying quality, you will have to pay for it. So, the best time to go for shopping is when stores are offering deals and discounts. If you are lucky, you can get boys dresses and baby dresses at half their prices. While comfort is the most important factor to consider, it does not mean that the design does not matter. You need to buy kids wear that complement your child’s personality and build. There are loads of designs and styles to choose from, right from balloon dresses to blazers, you get all. Keep such dresses for weddings and other occasions. Also, for daily wear, look for no-frill and no-embellishment dresses. Embellishments look good. However, too much to embellishment will make the dress gaudy. It can also poke your baby’s skin and hurt her. The fabric quality should be good. Cheap kids dresses have harsh dyes and chemicals that can harm your baby’s skin, avoid such clothes. Lastly, take your child’s opinion as well when buying clothes for her. If she is a baby, this is not, of course, required. However, by the time your child turns 7-8 years, she will have strong likes and dislikes. If you are buying dresses of her choice, then you do not have to worry about forcing her to wear the same. She will wear them herself and not throw tantrums. 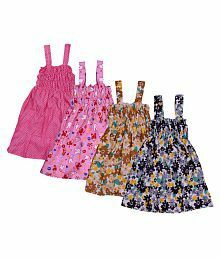 Fashionable baby girl dresses are available online these days. The choices of dresses for boys are also many. Here are some of the clothing items that are available these days. It is easy to shop for a baby’s wardrobe. Baba suits and baby suits happen to be the most common baby clothes. Baba suits come in varieties of colors and prints and are very comfortable to wear. Baba suit sets are also available. Baby dress is also common and so are frocks, for baby girls. Cute tiny t-shirts and pants are available too and these can be worn by both baby girls and baby boys. Woolens are essential. In today’s time, you get everything as girl kids wear. You will get lehengas and sarees too. Dresses, frocks, skirts, jeans, jeggings, tops, and everything else that you can think of. For winters, a few jackets and pullovers are enough. Sweatshirts look trendy too. A-Line, maxi, and gowns are ideal for parties and weddings. Salwar sets are also very popular. Ethnic attires are in trend now and make sure to buy at least a few of them for your little girl. Just like girls, the choice for boys dresses is many as well though a little less. Jeans, chinos, shorts, t-shirts, and shirts are things you will find in every boy’s wardrobe. Blazers and suits are available for boys. Dhotis, sherwanis, and kurtas are in great demand as well. The choice of clothes for kids is more or less same as adults these days. They are available in a wide range styles and cuts and make your child look like a prince or princess. 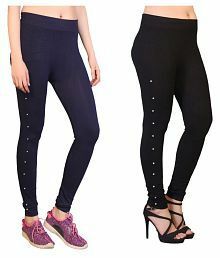 Just make sure you buy quality ones and ones which are comfortable to wear. It’s best to look for these online as it will save a lot of time and you will also get loads of varieties. Having a budget also matters. When you are buying baby girl dresses you need to think about accessories as well, you need to keep the price in mind too. You will have to change it after a few months itself and so buying many expensive clothes is not worth it. Look for brands offering quality clothes at affordable prices. Also, your little one will play in the mud and colors. So, you need durable clothes. You can buy few expensive clothes but keep them for special occasions. 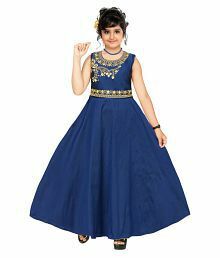 The one-stop destination for shopping for your kid's dresses, Snapdeal is one place that offers a variety of choices in terms of styles and designs. It is an eCommerce store that is well known for its collection of electronic goods, apparels, and much more. This store offers an eye-catching collection of kid’s clothing items and assures you of the best quality.